This Travel Notes Collector's Essential Kit has one-hundred-seventy-eight (178) Pieces. Included in the Collector's Kit are one (1) Bits & Pieces, one (1) roll of Washi Tape, one (1) 12x12 Sticker Sheet, one (1) 6"x12" ChipBoard Shapes and twelve (12) Sheets of Designer Paper that includes four (4) Sheets of the Element/Journal Cardstock and eight (8) Designer Papers. All Papers are double sided. 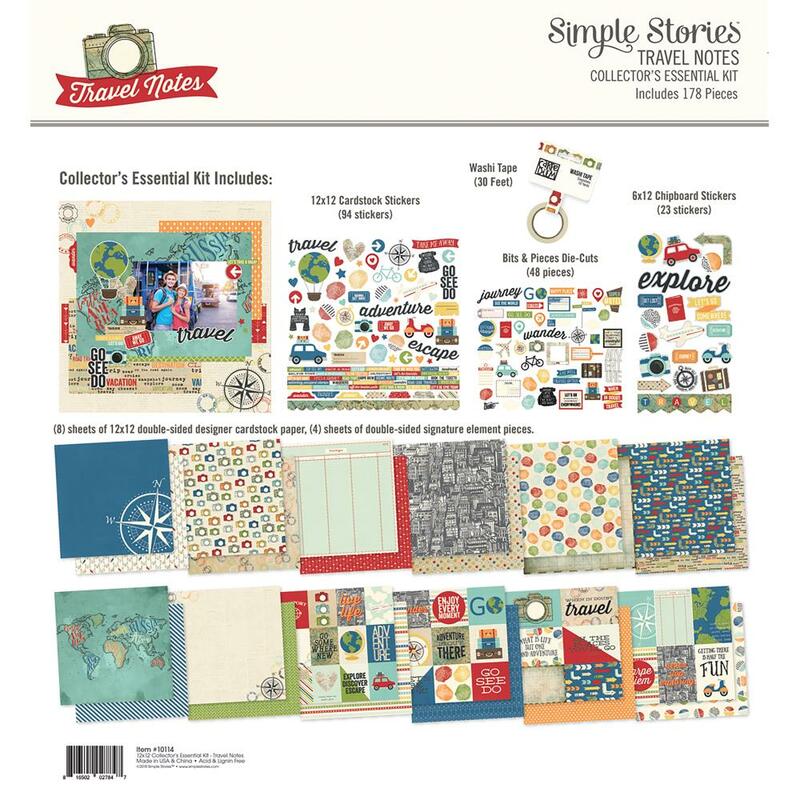 Travel Notes Collector's Essential Kit by Simple Stories.